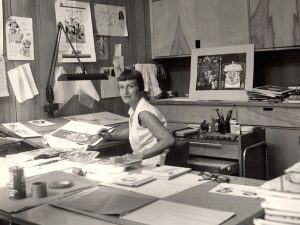 Mary Blair, honored Friday with a Google Doodle, is the woman to thank for the Disneyland boat ride It’s a Small World. Blair’s doodle coincides with a Los Angeles tribute to the longtime Disney artist. Thursday night, the Academy of Motion Picture Arts and Sciences hosted “Mary Blair’s World of Color — A Centennial Tribute” to celebrate the woman, born a century ago, who made a place for herself among Disney’s famous founding animators, the Nine Old Men. The Los Angeles Times’ Susan King, a writer and expert on classic Hollywood, reported Monday on the tribute and says Blair is best known for her contributions to the 1950 animated “Cinderella,” 1951’s “Alice in Wonderland” and 1953’s “Peter Pan” — as well as the aforementioned design for It’s a Small World. Full Schedule Posted of LCSNA Fall 2011 Meeting!